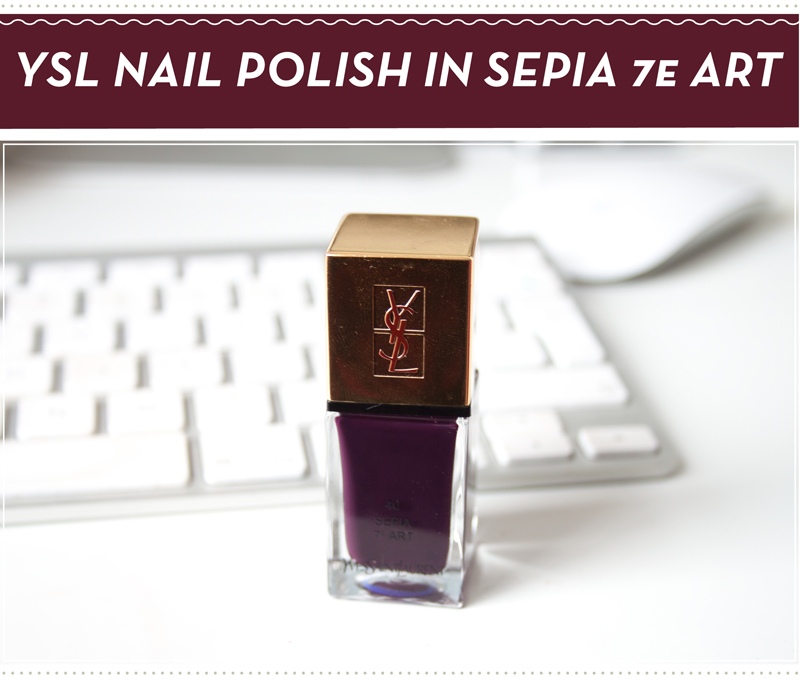 YSL #40 Sepia 7e Is a deep burgundy shade with a sheer jelly like finish. It looks almost black in some lights but in others its a beautiful aubergine shade. 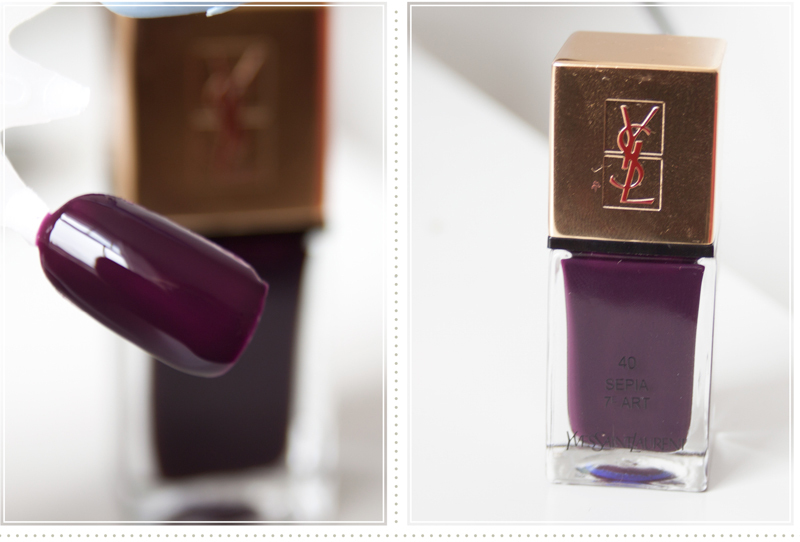 The nail polish applies quite sheer and jelly like at first but layers up to a good full finish. It's the perfect shade for the fall, its vampy while also being warming and I'd imagine it would suit a variety of skin tones. The price point is a little ouch inducing but it is a high end shade. I'll keep my eye out for a dupe!